Colin Henry Wilson (26 June 1931 – 5 December 2013) was an English novelist and writer. Wilson also wrote widely on true crime and criminology, mysticism, the paranormal, and other topics. In all, there are over 120 books, including some fiction. He preferred to call his philosophy new existentialism or phenomenological existentialism. Wilson was interested in metaphysics and the occult. In 1971, he wrote a nonfiction book named The Occult: A History. In it, he talked about the beliefs of Aleister Crowley, George Gurdieff, Helena Blavatsky, Kabbalah, primitive magic, Franz Mesmer, Grigori Rasputin, and Paracelsus. He also wrote a biography of Crowley, Aleister Crowley: The Nature of the Beast. He also wrote biographies on other visionaries in spirituality and psychology. Some were about George Gurdjieff, Carl Jung, and Wilhelm Reich. Wilson suffered a stroke in June 2012 and lost his ability to speak. He died in December 2013, aged 82. This was the book which made his name. It was really a work of literary criticism, but was also about social philosophy. It was based mainly on the work of Dostoyevsky, Camus and Satre, all of whom featured characters who were lost, outsiders, alienated from society. Gollancz published the 24-year-old Wilson's The Outsider in 1956. The book became a best-seller and helped popularise existentialism in Britain. It has never been out-of-print since publication day and has been translated into over thirty languages (including Russian and Chinese). 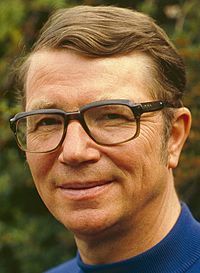 Colin Wilson Facts for Kids. Kiddle Encyclopedia.